MHA Labs’ philosophy is that radical innovations are often practical tools that, when adopted system-wide, produce sustainable outcomes. 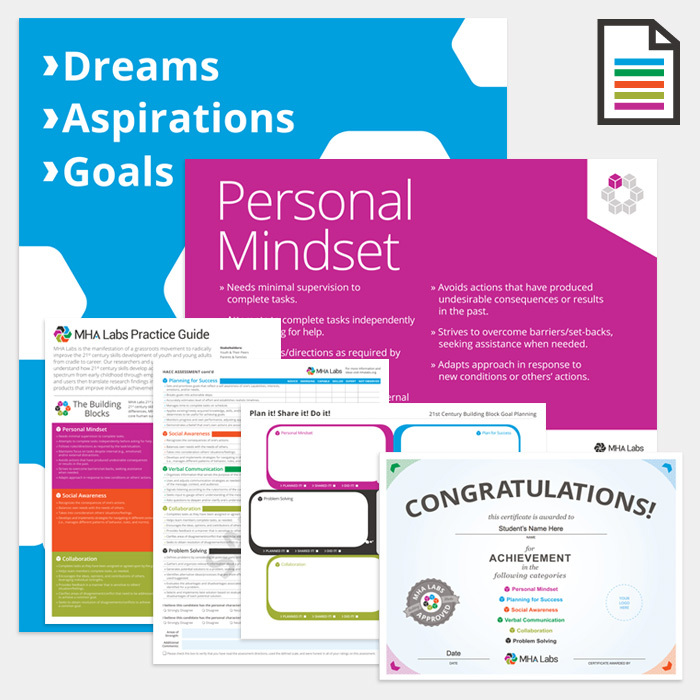 MHA Labs starter products are designed to help stakeholders unlock the skill building potential of their current settings whether it be home, school or work. Download the MHA Labs order form to purchase our professionally manufactured tools AT-COST. MHA Labs at-cost pricing ensures that even the smallest budget can afford high quality. These two core MHA resources provide the foundation for skill-building. Building Block Skill Sets give concise definitions to key skills that drive college, career and life readiness. Skill Adjectives provide a range of powerful descriptors that can be added to feedback and reflection practices. 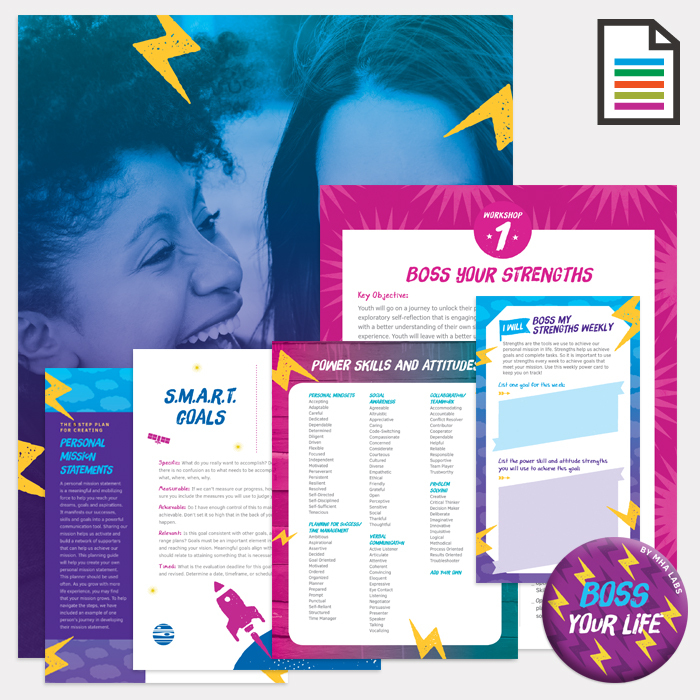 This FREE toolkit includes 5 youth empowerment workshops that can be done as a mastery-based scope and sequence or simply a grab-and go activity resource guide. This series is complemented by an aligned employer workshop planner with a variety of supervisor engagement activities. 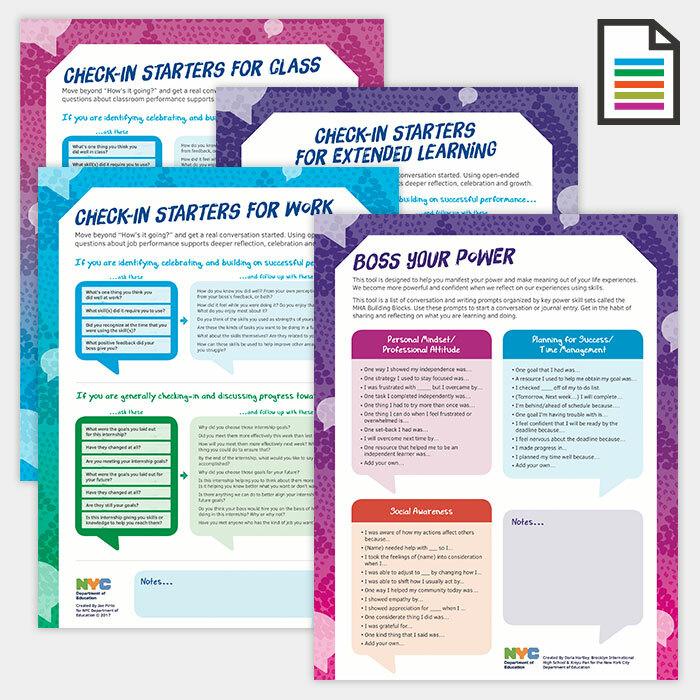 Toolkit includes 9 graphically-designed handouts and worksheets that drive individual reflection and group collaboration. There is a self-print version of every required tool but a order form is included for supplemental empowerment products and bulk print pricing. MHA Awesome Circles are an all time fan favorite. 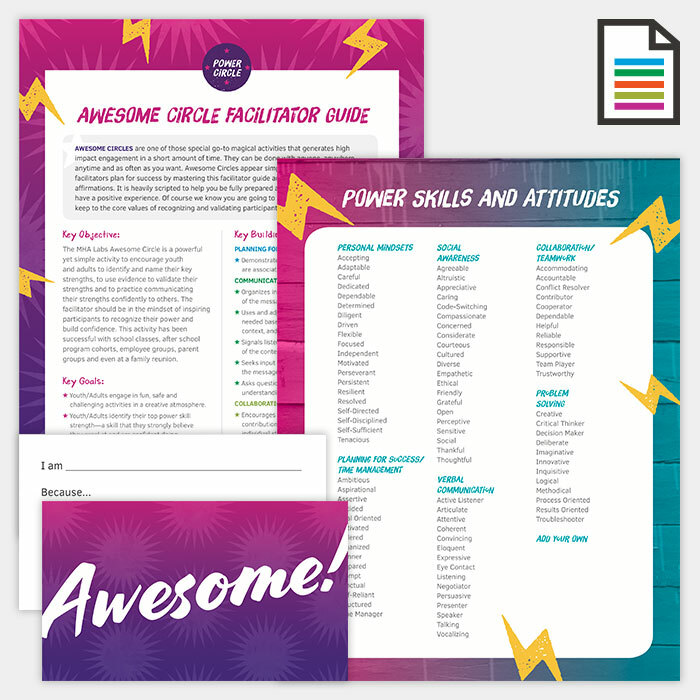 The Awesome Card is a mighty yet micro tool for youth empowerment. 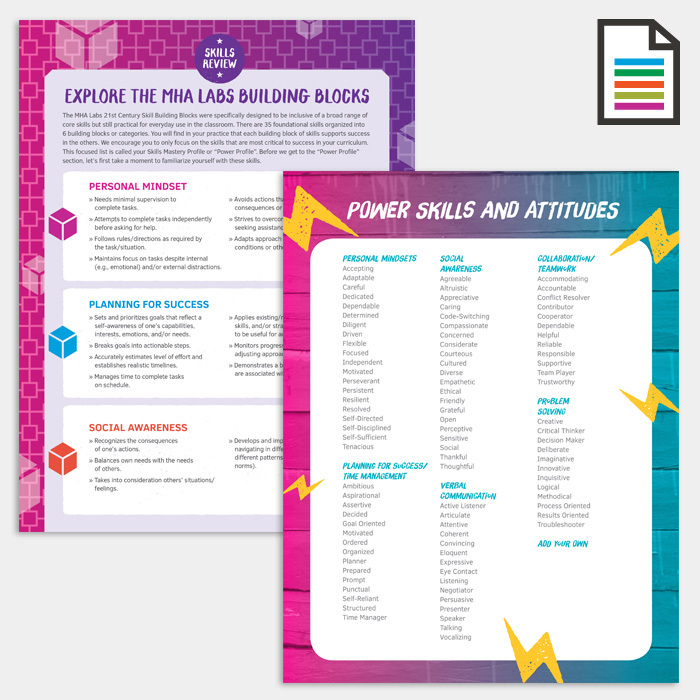 This Guide shares how to use Awesome Cards and Power Skill terms to unlock the strengths and confidence of youth. Awesome cards can be ordered from MHA or simply use a post-it. 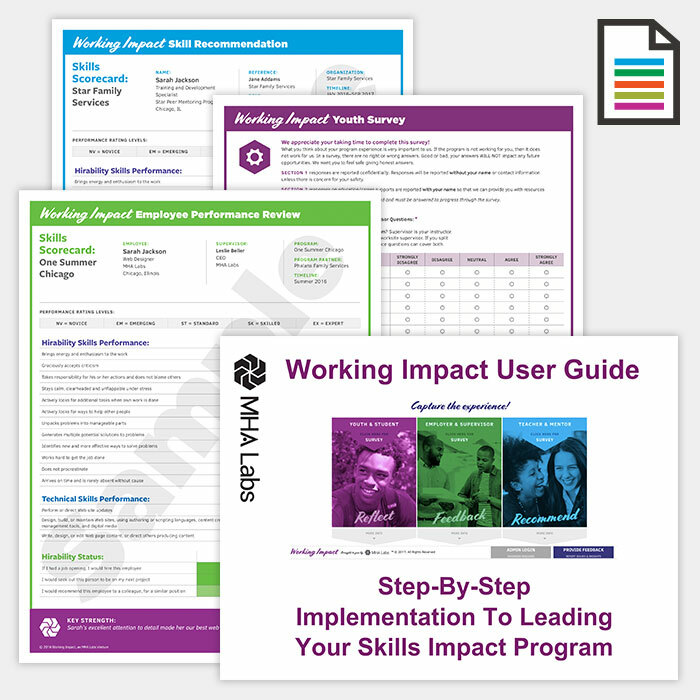 MHA Labs Feedback Formula is a fill-in the blank phenomena that takes the sting out of giving skills feedback. It’s all about turning feedback into an empowering two-way conversation. Use it for amazing performance or growth areas. 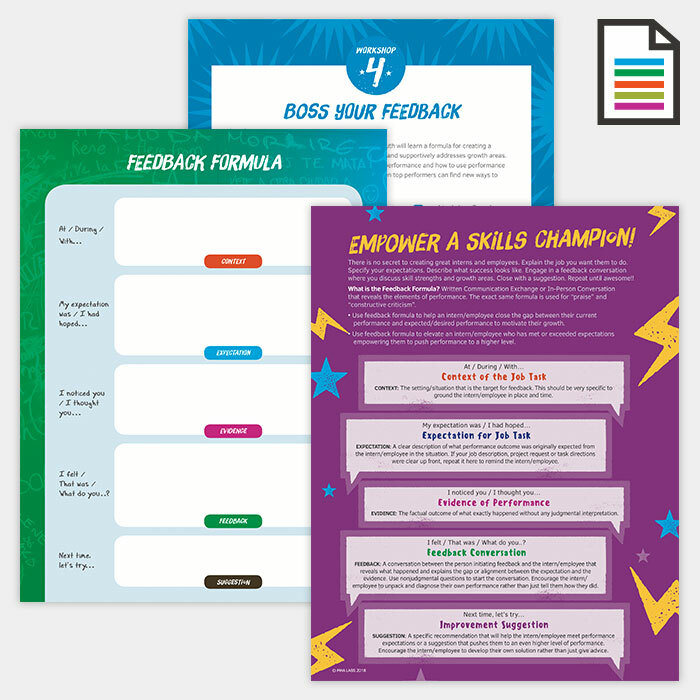 We have series of youth activities to introduce feedback and an employer feedback handout. This the only MHA tool you need.